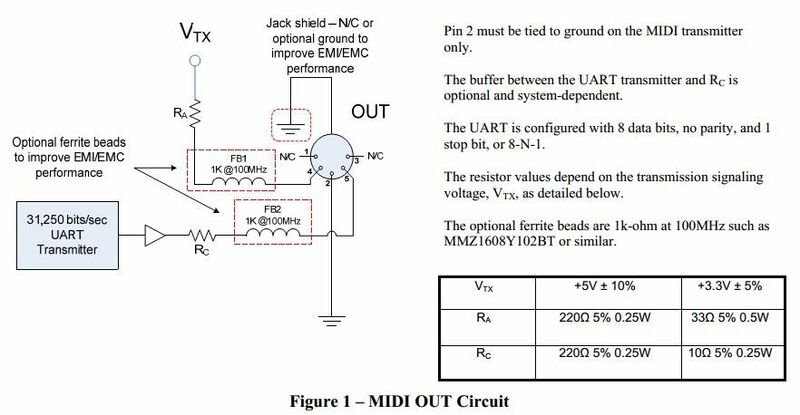 it is an example patch on how to configure gpio pins to use as extra MIDI IO ports. 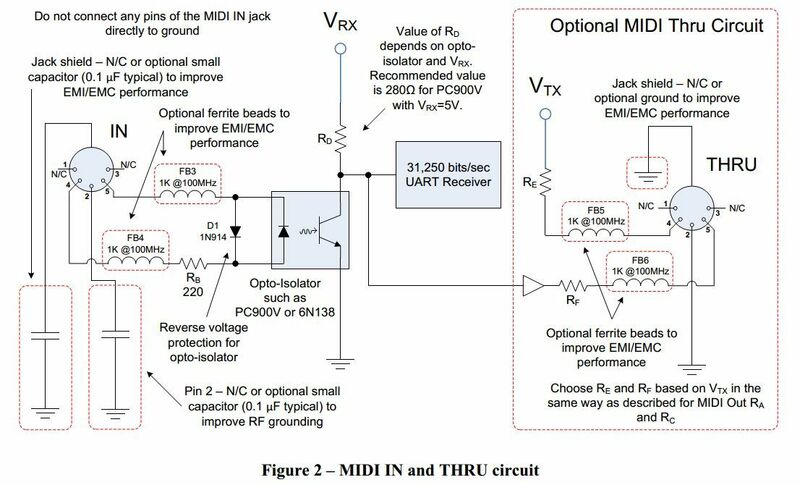 Refer to the midi specification (2014 update, found it here) on how to build the required external hardware. It's really not a lot, just a couple of resistors and one small chip (an optocoupler). How long to objects take to show up in the library? I can't see this one. Yep, figured it out. Need to go get some parts to finish the circuit. 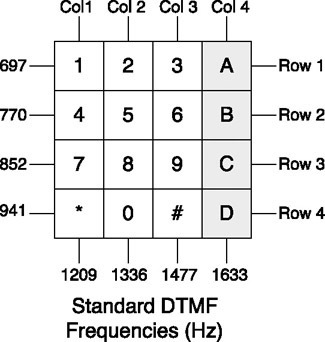 This is timely since I've found a big problem with my current method of using the MIDI socket header. 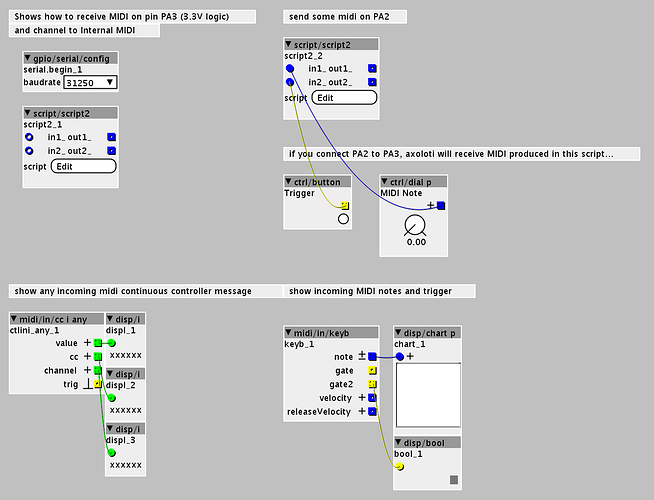 the objects help to turn most landline telephones into MIDI controllers with 12-16 buttons. An MT8870 IC is needed to decode the dial signal to a four bit signal entering 4 gpio pins and an additional trigger while the dial button is pressed. 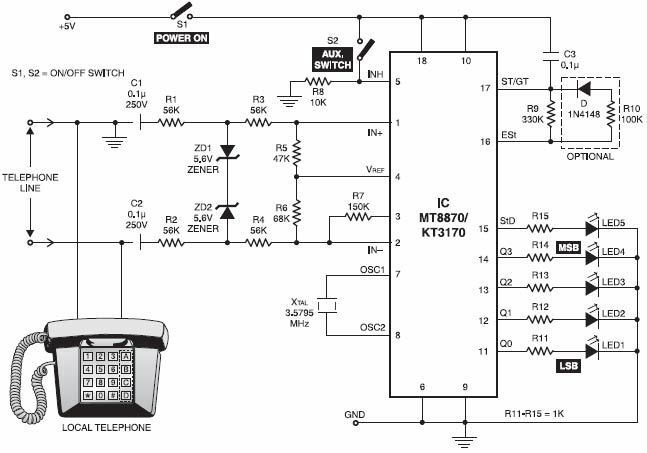 The circuit for the DTMF decoder chip MT 8870. The ports 11-15 need to be connected to gpio pins. the objects work independently. 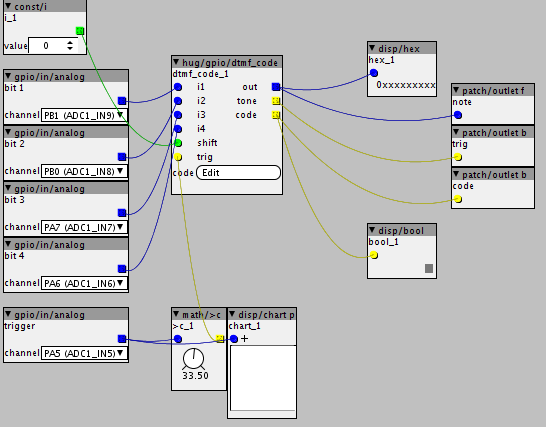 the "code" object has an extra output which triggers when a certain combination of buttons was pressed. i quickly copy/pasted this object upon this request. the script author is @paul and background on the topic is given here. I can now share my objects related to it. Oh, i must have missed something there, hope its fine now. I'm interested in an extra midi input and I was wondering if if it matters wich gpio pin I take. The only one free I have atm is PA6. Would that work? Ok that sounds pretty clear, but doesn't match with what Hugo says in his example patch. Any Ideas @Hugo? Yeah, that is the pin for receiveing Serial. Thanks for helping out. By the way, great weekend, people! Yes awesome it was What about PA2, could it be sending too? 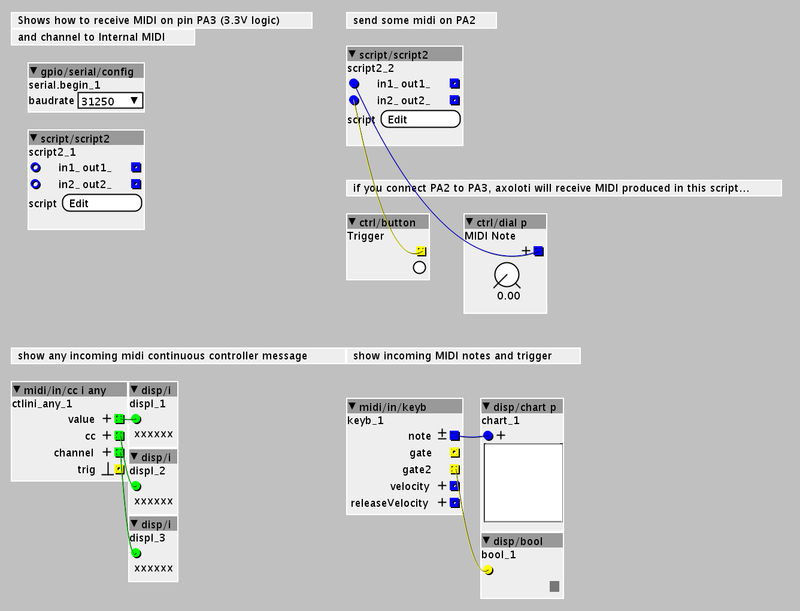 PA2 is the optional MIDI OUT.